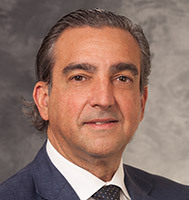 Dr. Fernandez is certified by the American Board of Surgery. He specializes in pancreas, liver, islet cell and renal transplantation, and serves in our Liver and Pancreas program. Dr. Fernandez's research interests include pancreas, liver, islet cell and renal transplantation.